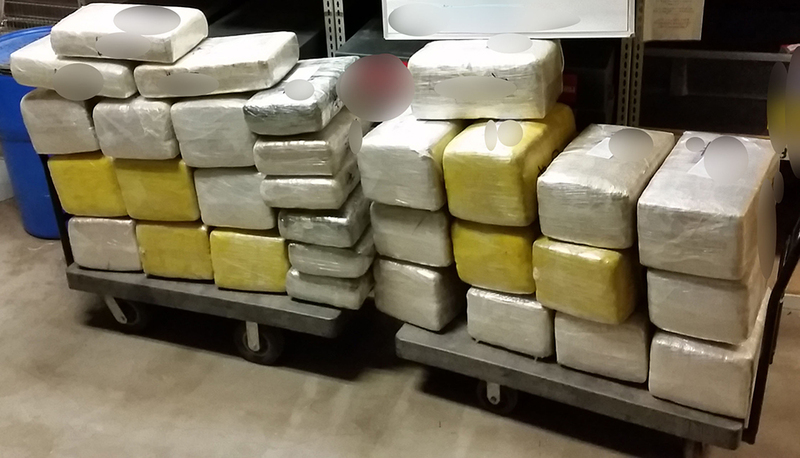 TUCSON, AZ – On Dec. 8, Tucson Sector Border Patrol agents working at the Arivaca immigration checkpoint Thursday seized a truck and horse trailer containing 740 pounds of marijuana worth an estimated $370,000. 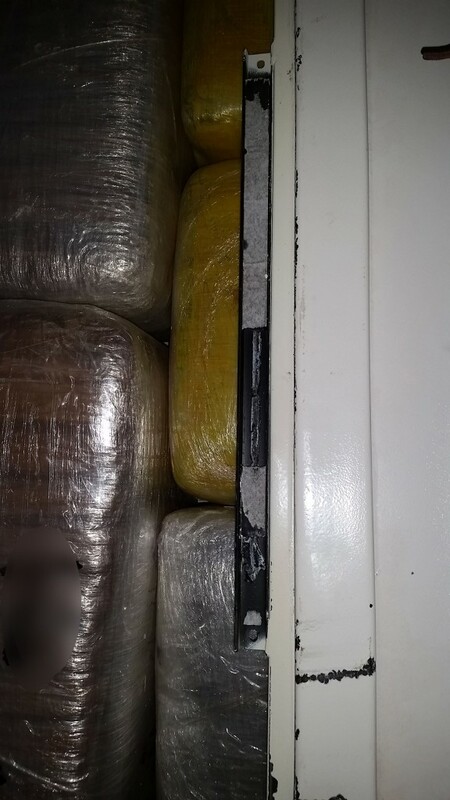 When a white Ford truck pulling the trailer entered the primary inspection area, Tucson Station agents used a Border Patrol canine to sniff around the vehicle and trailer. 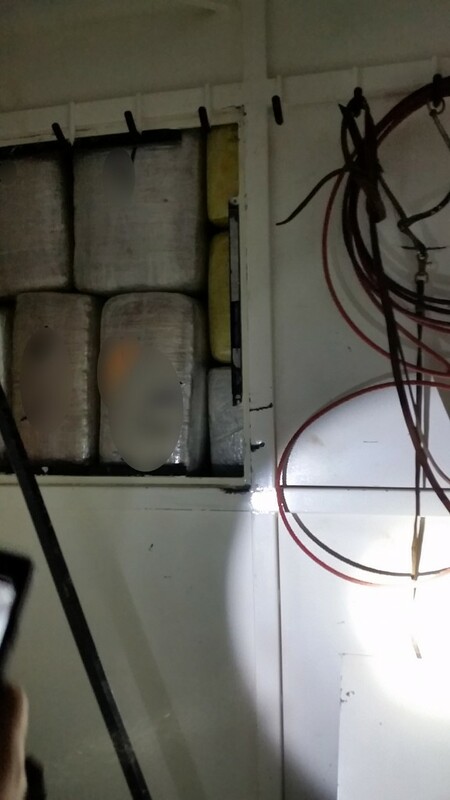 The canine alerted to the front of the trailer where agents discovered a hidden compartment containing 31 bundles of marijuana. As agents arrested the driver, the passenger jumped from the truck and fled the area on foot. Agents from the Special Operations Detachment immediately responded to the area and located the subject. The driver and passenger, both U.S. citizens, remain in Border Patrol custody and face prosecution. The narcotics, along with the truck and trailer, were seized.